Years of waiting paid off on one storyline and another long-standing storyline looks to be working towards a big pay-off. 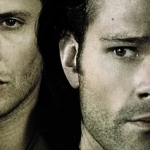 Kudos to Supernatural, a show that makes it worth it to be a long-time fan and still manages to surprise us in new ways. Robbie Thompson manages to consistently give us the episodes we need and want. This one hit all the right notes and had me close to tears in places, simply because it was so spot-on. And soon after the airing, it appears that Robbie may be ending his term on the show, a fact that I am still in denial over. Few writers have managed to hit it out of the park on most of their scripts, but Robbie has consistently been able to achieve that high bar. The show and the fans will miss his contributions dearly. For now, let’s focus on the fact that he’s ending on a high note. I have so much love for Chuck!God and this episode tripled that love. 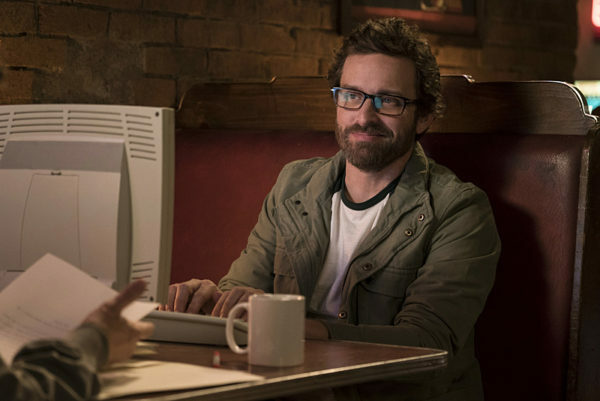 Not only did we see tremendous advancement in his character, we also got to see Rob Benedict shine in many ways. Things we learned: God can sing and play the guitar (thanks to Rob), he’s not too keen on his sister (which is a given), and he’s apparently bisexual (bless you, Robbie, so much). He’s starting to emerge from his Chuck-shell to show glimpses of the all-powerful father that he is. 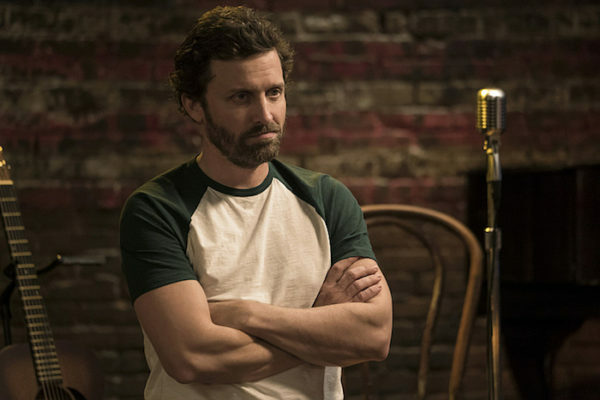 When Metatron popped up in the dumpster I was a bit disappointed because I have grown tired of him over the course of his storyline, but the way he worked with Chuck!God and called him out and basically got to the heart of what many of us were wondering was well done. I’m still not a fan of the Scribe of God, but I guess I can see his potential within the context of this episode. There were a few things I did enjoy seeing in his interactions with Chuck!God. One was that Metatron didn’t recognize his father by sight, but then was all apologetic over what’s been going on with him. Yeah, Metatron has been a jerk, but at least it won’t mean automatic death. The star of the episode, of course, was Chuck!God. There were just so many great things going on with him, including all the call-outs and in-jokes — the World’s Greatest Dad mug and angels singing and everything. The Revolution joke was hilarious, as a shout-out to series creator Eric Kripke. You tried, Eric, you tried. And getting to hear Rob sing was a real treat. I’ve heard him and his band multiple times when attending Supernatural cons, but now the entire audience can enjoy his strong vocals. Also, I literally gasped when Chuck!God pulled the amulet out. I always believed Sam had it with him the whole time. Chuck!God was trying to say it, though Metatron interrupted, and then Dean pulled it out of Sam’s pocket. Yes, Sam picked it up out of the trash and had it with him ever since. He keeps the fake version in his memory box, as we saw, and keeps the real one on his person. So it has been written. The whole ups and downs with Chuck!God’s moods was well-done. We know him as loveable Chuck, but he has always held power and strength and destruction within him. I was getting kind of turned off when he seem ready to let the world burn, but he was playing us all along. He can’t let Amara win, he can’t let his creation be destroyed, no matter how much they’ve disappointed him. Humans are fallible, and despite his abandonment of Earth and Heaven, God still cares. Also, I like that he didn’t necessarily come back just because Lucifer’s in danger. That’s been my fear all along, that he would ignore everyone and just come running for Lucifer. No, it’s more complex than that, for which I’m glad. The Darkness closing in on town and getting the boys involved in the case was great, as was the fact that Dean irons Sammy’s dress shirts with beer. Domesticity gets me! 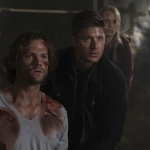 And seeing Dean once again ready to sacrifice himself for Sam was a nice continuance. When he knows his brother’s dying, he tried to infect himself and couldn’t. They are ready to jump off the cliff for each other at a moment’s notice. 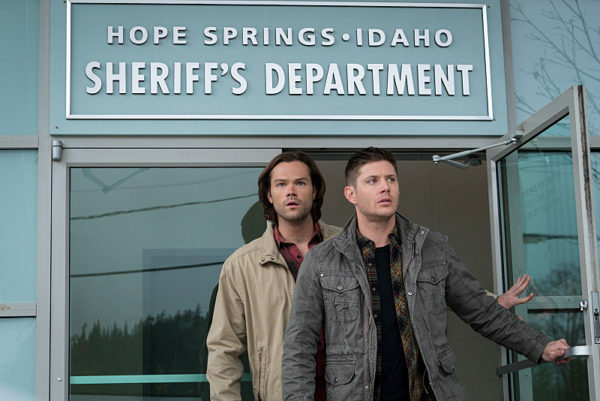 At least God still seems to care about them, saving them, because you know the Winchesters are going to be sacrificing themselves again and again. Hopefully it won’t be a forever-sacrifice when this is all over.